Photo scanning, retouch Photo scanning, retouch, - Memorescue :The memory rescue studio - Better past with us! 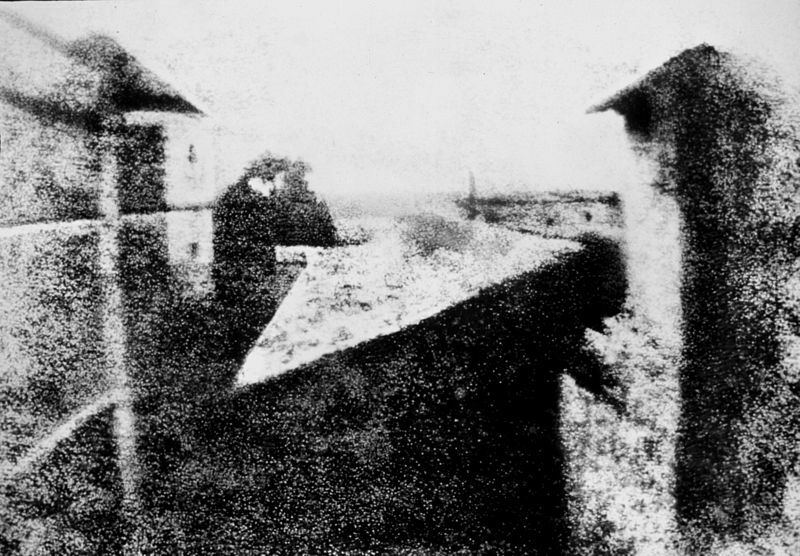 Did you know the world`s first photograph was taken in 1822 by Joseph Nicéphore Niépce? It was made onto bituminous plate with 8 hours exposure time. Since then billions of photo has been shot however, the majority do not know what to do with them in long term. ... and if you would like to give someone a copy, you can only trust colour photocopying. Memorescue`s main profile is scanning and renewing photograps. We are happy to deal with any kind of amount from one picture to a room full of them. 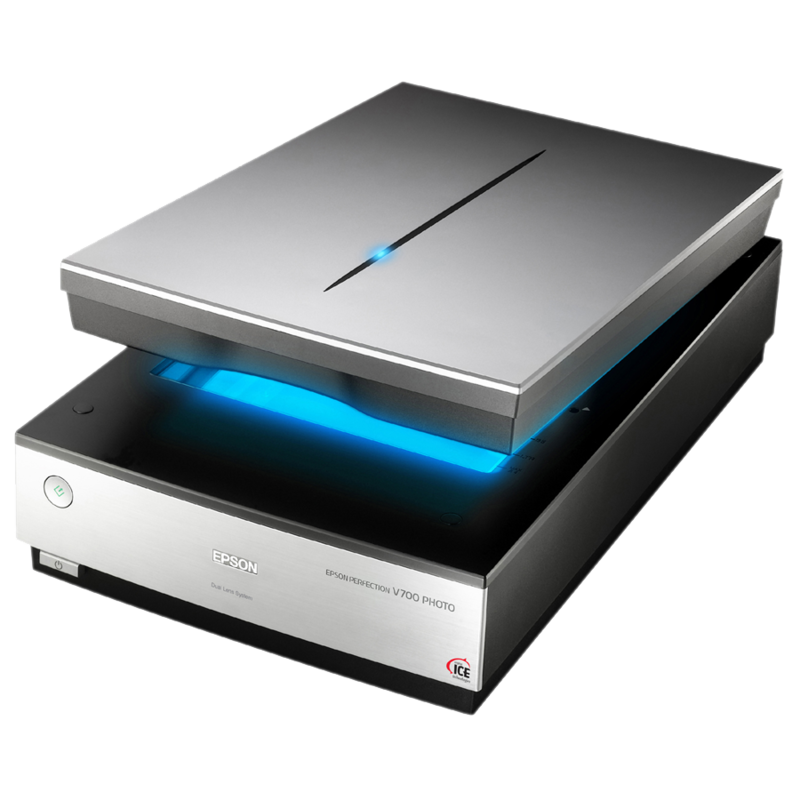 We work with premium quality flatbed photo scanners, because a usual scanner can not display photos with the whole range of colors. At the end they are burned to a DVD or copied to a USB drive in 100% JPG quality. Just as with slides, we take care of every picture one-by-one. The photos are cleaned with horsehair brush, then the Original glass is wiped with scratch-free wipe. Then comes the scanning. Every picture is scanned on 48bit, what usual scanners cannot do. The bigger colordepth helps us in reconstructing the original colors. When the picture is already in the PC, there comes the rotation, cropping and retouching. All this can only happen manually, it is the only way we can guarantee our usual quality. Resolution is the amount of pixels in an inch (2,54 cm) of a picture. 300dpi means: a picture of 2,54cm is divided into 300 pixels through the process of scanning. We can scan photographs from 300 to 6400dpi (real-optical, not interpolated) depending on the purpose of the scanning. One of our customer ordered a 4800dpi scan of a postcard, but the printing company entrusted to reprint the picture could not open it because it was too large. If someone wants to print a B0, 100cm picture, 2400dpi is recommended and if you would like to watch it on computer or TV, or send it to grandma, 300dpi is often enough. After scanning the pictures they are stored for a week for quality assurance. The basic retouching means the correction of quickly repairable damages, it must be acknowledged that the making of a fully reconstructed picture of high resolution can take 2-3 hours. If the photos are well stored, then retouching means to clean out a few lints - it is included in the prices of scanning. What to pay attention to when ordering scanning? -It is advisable to name every photo envelope or album, these will be the names of folders they will be scanned into. Without names, the folders will be numbers. -You do not have to clean the photos at home, we have our tried and true methods, and this service is also included in our prices. We work with brushes and oil-free supercharger. -You can save time, if you know exactly what you want to do with the saved memories - this way we can offer you the targeted resolution and drive. -If the pictures are in a scrap book and would like to save the plus charges of ablum scanning then get the photos out of the book and organize them in envelopes. You save money, we can work faster. -Decide in advance the drive you want to take your memories. It can be a pendrive, DVD, HDD or shall we send it in e-mail? -Select the pictures you want us to transform or need a more serious renewal. Some people ask for a 10 minute retouch (we carry out the repair fitting into the time), others say to make it the possible perfect, money is no object. 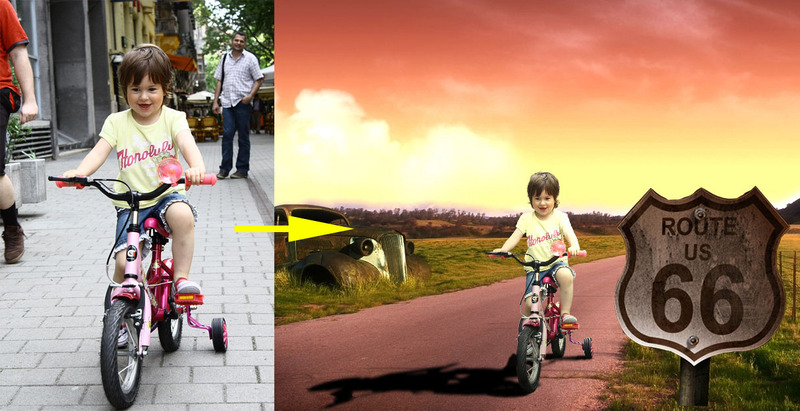 We also do photo editing and retouching with high quality! 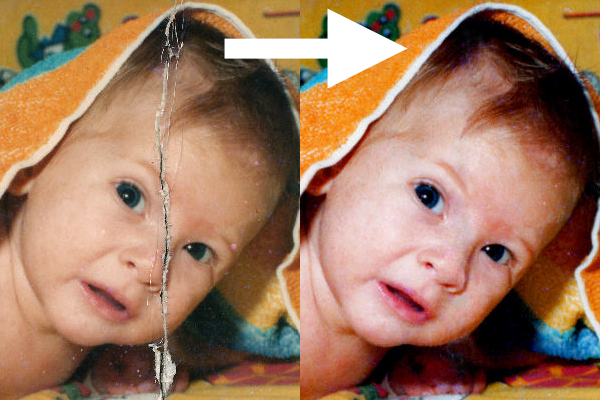 You don`t have to give up on damaged pictures! After a scanning of high resolution, we can clear away almost all kinds of damages. The most common damages to be repaired are creases, scratches, stains, fingerprints, torn off parts. What can be retouched on a photo after scanning? -You would like a slideshow from your pictures, we make it based on your needs. Retouching is a demanding work, the charge of editing is 0,5€ per minute. Scratches and fingerprints can be repaired in a few minutes. 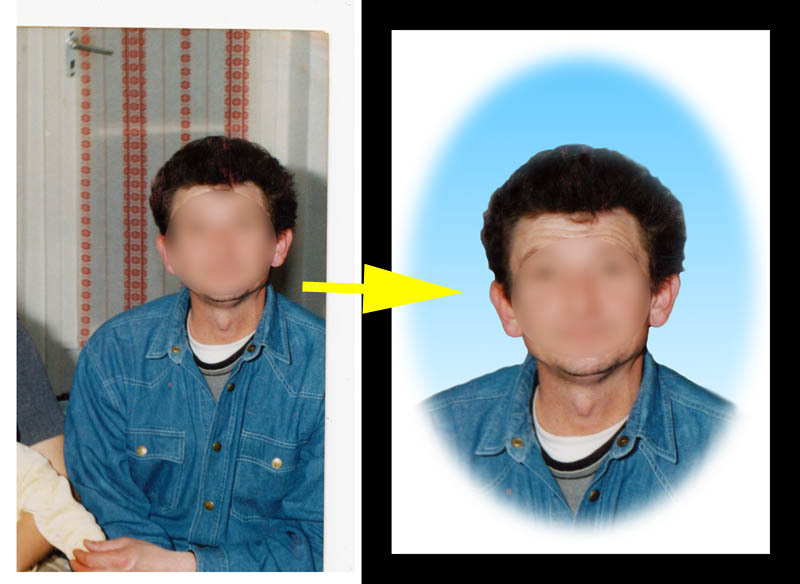 The retouch of a picture torn in half or the removal of a person is more time-consuming. Based on the complexity the time spent can vary from half an hour to couple of hours. We always estimate the time needed, so it will not be a surprise for you. Photo mosaic is a picture made of smaller pictures. Our customers give it as a present to their beloved ones. Since the picture is created from smaller images by a program, it will be truly spectacular when it is printed at large size. You should find the golden mean: the big picture should be visible, but if you go near the small images should be recognizable as well. The larger the print, the more detail can be on the big picture (that may include several small images). 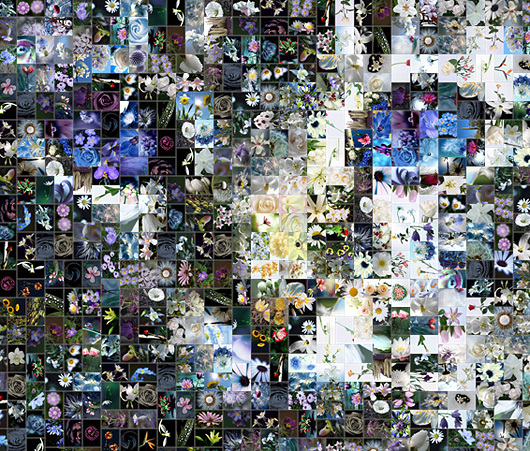 A mosaic can made of colorful and monochrome images aswell. 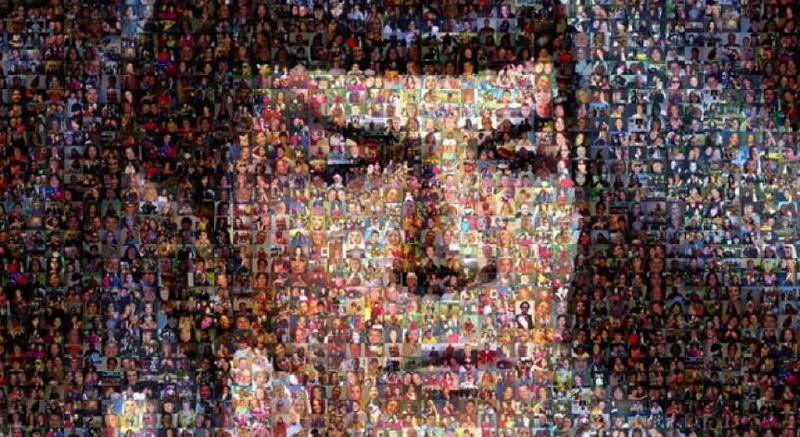 Many think that a mosaic containing 2000 images recquires you to have 2000 photograps to be enjoyable - but usualy 200-300 images is enough to create a properly varied picture. The mosaic maker program first analyzes the source folder to a specific photo`s color value whether an image can be used as a transition. Then modifies the initial images to complete the palette with the missing color values - these are the images the program assorts: some images will be horizontally or vertically reflected or set the lightness if necessary. To get a high-quality print one should work with 300dpi, so if the customer would like an A/3 image, we will create a file of 300dpi and 297*420mm. For the 2000 frames a picture must be used several times and the frequency can be set. Printed and framed it is a spectacular, creative and unique gift. 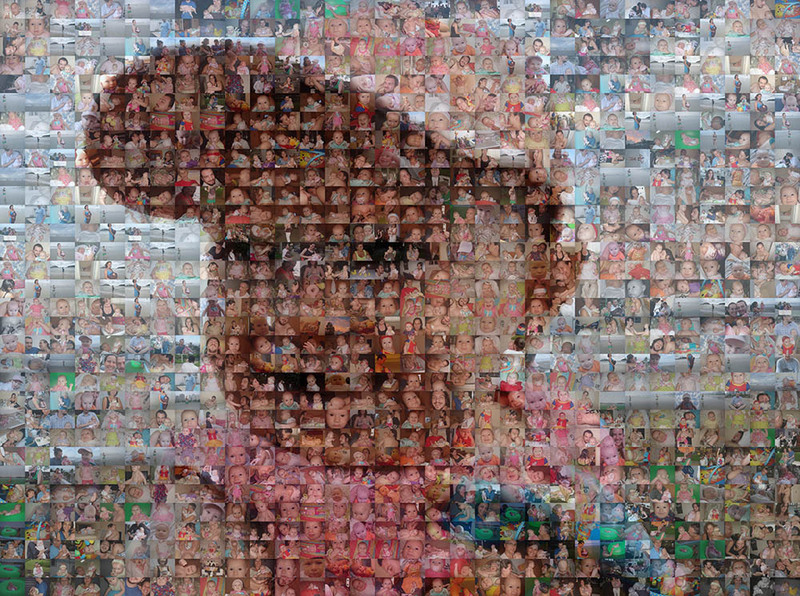 Here are some examples to make clear what is a photo mosaic. Click on the pictures! 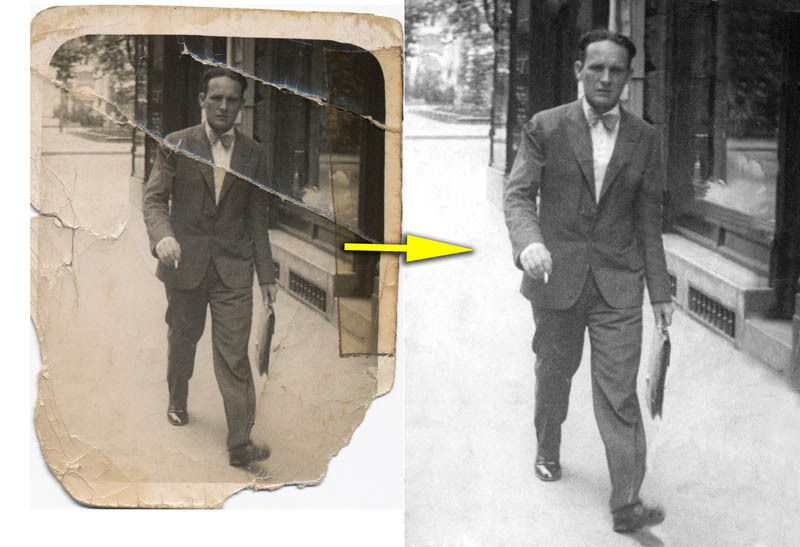 We deal with every size of orders, from one photo repair to thousands of images.